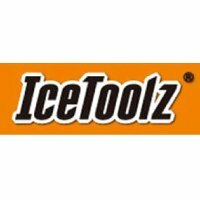 The Ice Toolz Allen Key Set comprises individual Allen keys organised in a clever slip-in case. Sizes: 2, 2.5, 3, 4, 5, 6 and 8mm quality Chrome Vanadium Allen (hex) wrenches. The 4, 5 and 6mm wrenches are conventional hex wrench on the short end of the Allen key, ball end at the long end. The short hex end reaches bolts that are too awkward to access with a folding Allen key set. The ball end allows you to loosen or tighten Allen bolts at an angle (as opposed to head on) without fear of rounding the Allen head.